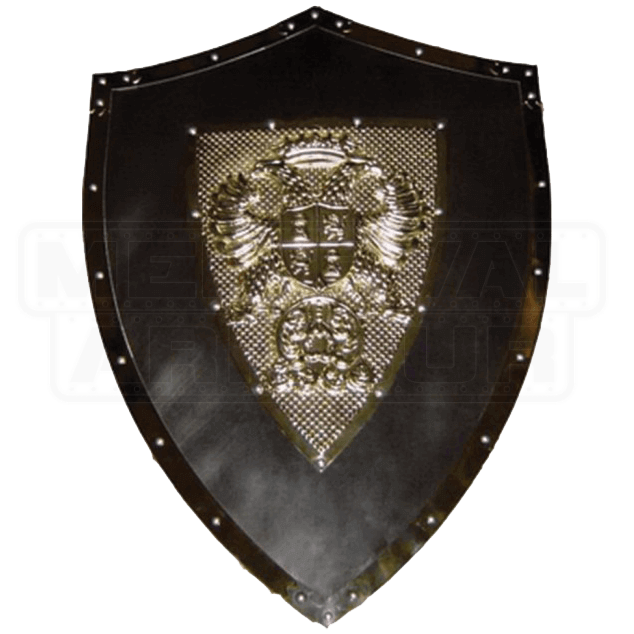 The Steel Holy Roman Empire Shield is an excellent decoration piece that will look stunning above any fireplace or in any personal collection. The two-tone design makes for an exceptional and eye-catching piece of medieval armour. Set at the center of the shield is a heraldic eagle with two heads and a crown above. There is a small coat of arms with lions and castle turrets between the heads of the eagle. Bordering the matte silver finish of the shield face is a gold metal tone trim. This shield is easily hung using the chain on the back. 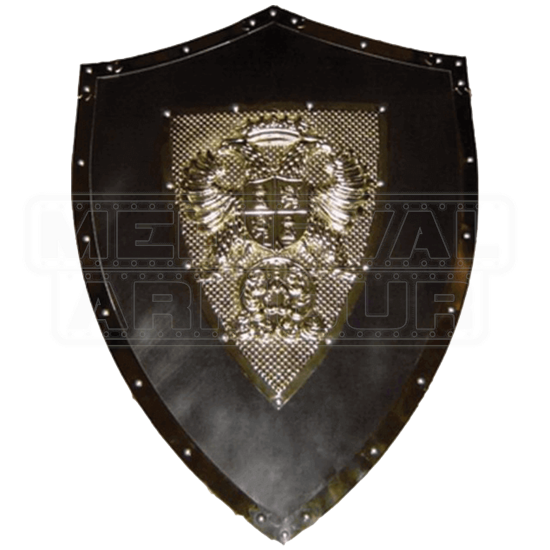 With such an impressive amount of detail, this shield will help you bring the glory of the Holy Roman Empire to your home or next medieval event.